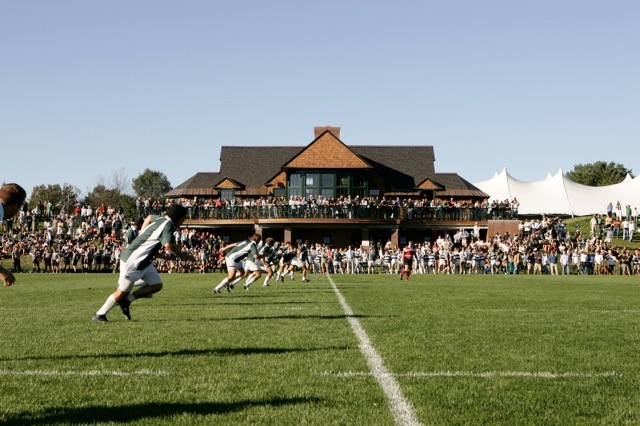 After leading the Big Green to its eighth straight Ivy League XVs title and third straight Ivy League 7s title this past fall, Dartmouth captain Madison Hughes has transferred his success to the international stage. Hughes, a senior scrumhalf for Dartmouth, was named captain of the USA Men’s Eagles Sevens team in September and has quickly established himself as a crucial member of the program. Hughes’s consistent play and steady leadership have contributed greatly to the Eagles’ recent efforts on the HSBC World Series Sevens circuit. Most recently, Hughes and the Eagles defeated a formidable Scottish side and top-ranked Fiji on their way to a Plate victory in Port Elizabeth, South Africa. The Eagles hope to continue their success on the World Series circuit with the eventual goal of qualifying for the 2016 Summer Olympic Games in Brazil.